Please note the 3d touch can not use on printer M201 Rostock301 G2S G2 as the firmware do not support it. 3DTouch is an auto leveling sensor for 3D Printers that can precisely measure the tilt of your print surface. 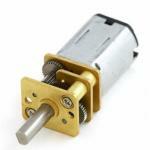 It can greatly improve the printing precision of your 3D Printer. The main functions and controls of 3DTouch are the same as most auto bed leveling sensors, which consists of a RC servo and a micro switch, thus, 3DTouch can be used on almost every 3D printer control board. By using progressively designed solenoid and hall sensor, 3DTouch can integrate high precision in such a simple structure. To make it more user-friendly and to bring you more enjoyable printing experience we add many smart functions such as self-test, false alarm, alarm release and test mode for M119. 3DTouch can be easily applied, since it has a small and simple structure. Gathering information & firmware setting will be an easy task, because 3DTouch works as usual auto bed leveling sensor. 3DTouch’s Standard Deviation in repeatability is around 0.005mm, at that precise. If you choose 3DTouch, your 3D printer will be high-class masterpiece, giving you an enjoyable experience. 3DTouch consists of Atmel ATtiny13A, solenoid, and a push pin. 3DTouch does not uses either optical, nor proximity (inductive/capacitive) sensor. 3DTouch is controlled by Hall Effect, providing high precision. Thus the bed material can be selected freely. 3DTouch is a small and technology-intensive one. 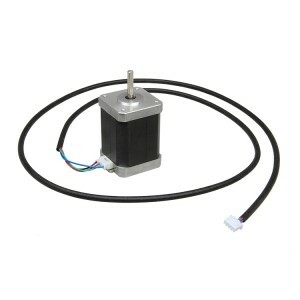 Build size can be set larger than other existing auto bed leveling sensor. 3DTouch uses existing RC Servo motor signal intactly, so just plug 3DTouch on the same pins after removing servo motor. you may need to do some soldering work to the connector. We have prepared the pins for you. For detailed instructions, please refer to the user manual. If you need any help, please feel free to contact us. For the owners of the Geeetech A10 I have created a printable mounting for the 3DTouch: https://www.thingiverse.com/thing:3464552 It's designed so that the offset to the nozzle is precisely aligned automatically. Feel free to share the link anywhere you want and have fun using the 3DTouch. I've set up the BLTouch on my Ender 3 with Marlin 1.1.9. Repeatability test M48 shows me a precision of 0.2mm in 10 measures. Any suggestion how to reach the promised 0.005mm precision? Please advise. If I order this, is there anything else I need to order at the same time, screws bolts or extension cables.......anything??.?? Hi. Is it full compatible with Megatronics V2 and Repetier. I purchased a 3D Touch from you, I have wired and installed the product. It has caused my printer to run backwards so right goes left, up goes down and so on. The codes for operating the 3D Touch manually do not allow it to work but the light on the 3D Touch comes on so I know there is power to the unit. Help please. I ordered one of these from you, I am still waiting to receive it, when it comes in wich firmware do I install for a Prusa I3 Pro W ? Why is this $10 more when you add it to a printer package vs buying it separately? Para que sirve la resistencia de 10k que viene en paquete junto al 3dtouch, no entiendo como no explican nada sobre ello. 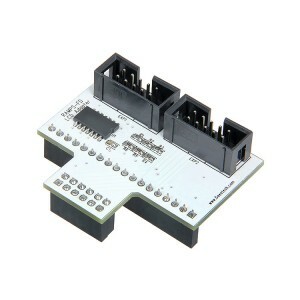 I would like to buy one of this sensors for my Acrylic Geeetech Prusa I3 pro B 3D Printer with the GT2560 Rev A+ control board. 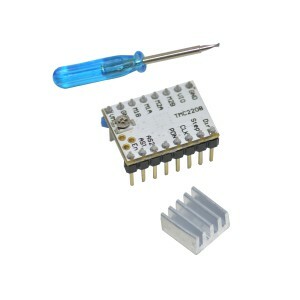 Which firmware do I need to use this sensor with this board? I just bought the 3d Touch for an A10. My firmware is Marlin 1.1.8, is it ok or do i need to do something? Many thanks. is fully compatible whit cr-10s and anet a8? the lenght of wire is ok? or i need a modify, where i buy it? the firmware of my printers are ok (all buy in october 2018) how i control it? A10 first version (gt2560 rev B) work on it? Where i can find where to pin? can i use it with a GT2560 V3.0 Control Board (A10)?? Will it work on my Duplicator 5? jsut finished installing a 3d touch auto bed leveling. 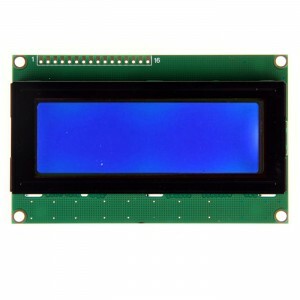 scrolling through my LCD screen. i do not have a "BL self test"
which modles you use? have you set the configuration in the firmware? The red light on? have you set configuration in the firmware of the 3 d touch? Does the Geeetech 3DTouch auto bed leveling sensor for 3D printer works with E180? And how to at it to the main board ? Salve per collegarlo ad una stampante a10 serve fare unaggiornamento al sistema? Should the aluminum"pin" move when I shake the unit lightly? I just opened the package and noticed it moves freely. Thank you for the quick reply, now I can install! Does the Geeetech 3DTouch auto bed leveling sensor for 3D printer works with Anet A6? 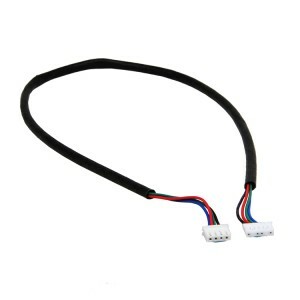 How can I order the extension cables for this 3DTouch sensor? those wires look too short to reach the board on my pro w (gt2650 +) how do you connect it? Hello! 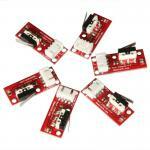 :-) Is there any hint to use this sensor with a MKS Gen L board? Hello, is there a thingy I can print to mount the 3DTouch to the Geeetech A10? Or even detailed assembly instructions? I have bought both on Amazon recently. Hi, how do attach this sensor to the new Geeetech A10M printer? Where do I attach the wires? 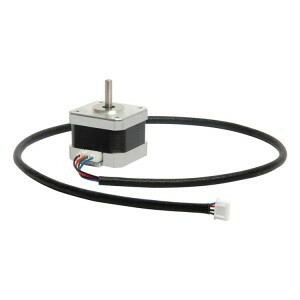 The connector should between extruder wheels, find the five pins and connect but you need upgrade the firmware firstly. is there an stl file for a mount? Hello, is it compatible with Geeetech A10 printer? currently not support it, but we are upgrading the firmware. Hello, I have purchased this for my M201 printer, but now your tech guys tell me there is no way to install it on the board. Is it true it works on the M201? why isn´t there any instrucctions on how to install it on a pdf document? if it doesnt work on the M201, will you return my money ? I have contacted the technical@geeetech.com and they dont provide any answer anymore. Sup friends, I have a 3DTouch sensor almost ready to work, but I fail to find where to plug the wires. Does anyone knows how I can deal with it ? I will need to send pictures though. Thank you in advance ! 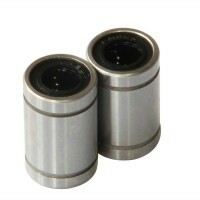 Hi Pir, Please email to jocelin.jia@geeetech.cn for help and show her picures,thanks. Hi I D, Yes,it works on M201 printer.Thanks. 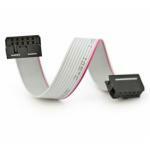 Hi It is not compatible with A30 printer at present.SKU:700-001-1079 this one is. Can I use it in a Tronxy X5S(Main Board : cxy-v.2)? 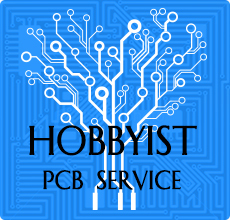 does this mother board is marlin firware? Hello, I have an Acrylic Geeetech Prusa I3 pro B, I recently bought the wifi module and I have a problem, my printer has the 3dtouch auto bed leveling and I do not know how to do the calibration. Apart from that, it has already happened to me 2 times that printing through the wifi module, the hotend stops heating and the printer keeps moving as if printing. Hi Alberto,you can email more details about your problem to:victory.lei@geeetech.cn for help.Thanks. 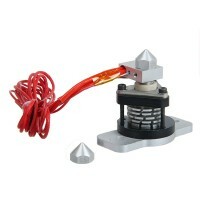 Hello, I'm looking forward to buy an auto bed leveling sensor, I have seen this one and also this: http://www.geeetech.com/lj12a34zbx-npn-dc636v-inductive-proximity-sensor-switch-for-p-1024.html?zenid=ovnuaus6vt9hjhk4sh8cb06d52 . which one would you recommend this, or the other? Hi Fred ,thanks for your update here .any doubt pls kindly contact our tech for help ,they are very happy to help. Hello, I have the Pro B, and usin slic3r version 1.1.7 I've just recieved the 3DTouch. can you please tell me the configuration of slic3r to print the sensor mount. Thank you. Ramzi. Hi Ramzi ,you can email to our tech:technical@geeetech.com for help . Hi Miguel ,sorry for the delay as the 3d touch sensor we are more strict for the production ,and now just has stock ,will be shipped this 2 days ,do appreciate to your patient here. When is the Shipping from order # 10602? Hi Miguel , Where you buy ?As from website i cannot see the below order ,sorry that. Hello. My sensor work fine in the middle of the bed and tree corner but don't stop at the last corner. Slicer is with G29. Sorry for my bad English. I have just purchased a "3d Touch leveling sensor" for a "GEEETECH i3 A Pro the one with 3 in 1 controller". Can you help me with some information on the wiring and software re-configuration please. Hi there did you get the "3d Touch leveling sensor" working on your GEEETECH i3 as I have just finished building my own? 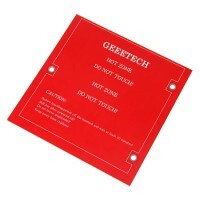 Hi ,you can check about our manual by :https://www.geeetech.com/Documents/3DTouch%20auto%20leveling%20sensor%20%20User%20Manual.rar ,also if you have any problem you can email to our tech:technical@geeetech.com for help. 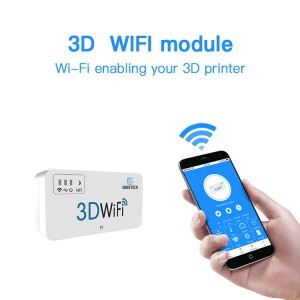 I'm a newbie to 3D printing and I've just bought the 3DTouch sensor for my Pro B. I need to know what I have to do to my Pro B to get the sensor to work and is there any on line drawings which show or explain which wire of the sensor goes to which ever pin on the control board. Hi Martin,thank you for reaching,sorry that the 3d touch sensor just can support by GT2560 ,the M201 is GTM32 ,so cannot .Pls note with thank. Hi Mauro ,could you pls check with the printer manufacturer whether the printer can support BL touch or not ?As our technican not fimilar with this printer ,sorry that. Hi Olivier,sorry that currently the 3d touch sensor just can be used on pro B and pro X and pro W ,for those prusa i3 series .Pls note with thank. There is something worng with my 3d touch i asked you're sales department for a replacement but they are not responding... wich is not nice it is joust not working and you're technical department can't help me because they can't figure out whats wrong, so please can i get a new one because like i said THIS ONE IS NOT WORKING !!! HI Andro,Thank you for reaching us ,could you pls tell me where are you bought the sensor ?And you also emailed to our technican for help ? Hi Stuart ,i have sent an email to you ,pls check. Hi David,for the 3d touch just can be compatiable with the GT2560 controller . 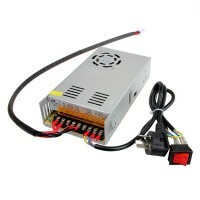 For the Aluminum prusa i3 you can buy a 3 in 1 control box to upgrade it. My replies don't seem to be getting through. Anyway, what I mean is: HOW do I do it? Where do the connectors go? What are the firmware changes? I have the Pro C (dual extruders) and the GT2560 Rev A+ board (with the 3 extra pins). Can I use them for the 3D Touch, AND keep my Z Min connection ? It's just in case the sensor fails. Hi Paul ,you can try ,for the pro C is much difficult for the 3d touch sensor. Have installed your 3d touch sensor on my new 3d printer. Sometimes it accidentally pulls down while printing. What can cause this issue? Using marlin firmware, mks gen v1.4 board. Have heat bed installed. Thank you for all your help on my installation of this auto level. The instructions on the Wiki are adequate and I am up and running. Hi Aage,could you pls list you problem by details to our technican :technical@geeetech.com he will check and give some help.Thanks. Hello, Please tell me where I need to install the sensor, and what holder and where exactly? How to connect this sensor to Geeetech prusa I3 A Pro 3D? The needed connection pins are not on the GT box control board! When this will be available for M201 printer with GTM32pro board ? Hi Cico,sorry that this cannot use for the M201 printer. Can't find the reference to "pins-h" in the firmware installation. Seems to be missing in my software. How do I get that? Hello Bertrand ,it's ok.For the cooling fan our technican said logically can add one more ,you can search more detail on thingiverse. Hello Aurelie,sorry that the M201 cannot support the 3D touch sensor . Greetings Geeetech! 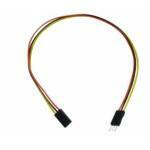 This auto levelling sensor looks compatible with the Delta Rostock G2S Pro - Is it? Also, how sensitive/gentle is it? The inbuilt auto levelling probe on the G2S pro has too much resistance and can tilt the spider/effector when making contact during auto-levelling, which can change the auto-levelling results. Is this probe softer so it will not make the spider/effector tilt with pressure when auto-levelling? Hello Ross, sorry that the G2S printer cannot support the 3D touch sensor.Pls note with thank. It depends on the distance between the nozzle to the main board. I have a geetech aluminum I3 and I see in the comments that it will work if I have a certain board? I don't mind changing the board if I can have the censor and still have the display work. What board would I need? Hi,sounds great that you have one on your pro X ,but sorry that the Me creator2 printer cant support the 3D touch . Hi. will this one work with the Me Creator 2? ive already have the i3 pro X and im really happy with it. Won't allow me to pay for item on PayPal. Hi Randy ,what happened to the paypal payment? The website accept the paypal payment. Will this work on your Geeetech Prusa I3 X? Thanks in advance. I have the Pro C dual extruder, if the same mount is the same as the pro B, how do I attach it when its where the fan is? or do I attach it against the fan? Yes, you can mount it against the fan! After printing a mount for the sensor (for the pro C), it seems that this is not the same as for the pro B. The gap between the holes is not the same, and the fan is at the same place. Where can I find the right support? I bought this package and it doesn't come with the extension wires to reach theboard . It's not much help without them. Can you recommend somewhere to get the extension wires? Hello George, thanks for contacting us, please send your enquiry to sales@geeetech.com, our sales will help you. I have a Geeetech i3 pro x, will this fit my machine. My machine works like the previous machine. Hi, is the M201 printer compatible with this device? Hi I'm having a little trouble with the 3D Touch. Please see here http://www.geeetech.com/forum/viewtopic.php?f=27&t=18496&p=34314#p34314 Any suggestions? 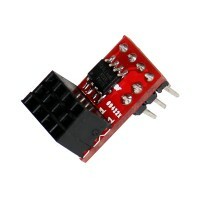 I have a hictop diy reprap prusa i3 with the Mks Base V1.3 Reprap Arduino board can I use this on my unit? 3-pin: Brown (-, GND) Red (+5V) Orange (control signal) 2-pin: Black (-, GND) White (Z min) can you find spare pins for the above wires? Yes it looks like I can, attach it to the board. next question is about the programing, I have not see it on this printer yet, so I am a little concerned. Hi There, is the Geeetech prusa I3 A Pro supported and how to wire the sensor. I have purchase the sensor but figure out Z min has only 2 pins ? 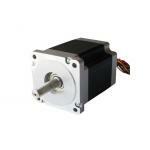 yes,,GT2560 support 3DTouch auto leveling sensor. You do need to add aluminum plate, glass also works. please refer to the user manual and download the sensor mount, then, everything will be easy. Would this work with the Geeetech Aluminum Prusa I3? I have the Sanguinololu +4A4988 board. In the manual you write: "Step1. Remove the Z max connector from the board and replace it with a 3Pin Straight Pin. You need to use soldering iron here." The Z-max connection on my board (Prusa I3 Pro B latest edition of a couple of weeks old) only has a 2-pin. How can I replace that with a 3-pin? Before I decide buy this sensor I would like to know for sure I can fit it easily. Can i use the leveling Sensor with the MeCreator 2? yes, you can use it with the MeCreator 2.
just a question how long does it take for you techs to get back with me, its been 3 days now? Yes I have, I have sent them 2 emails now.